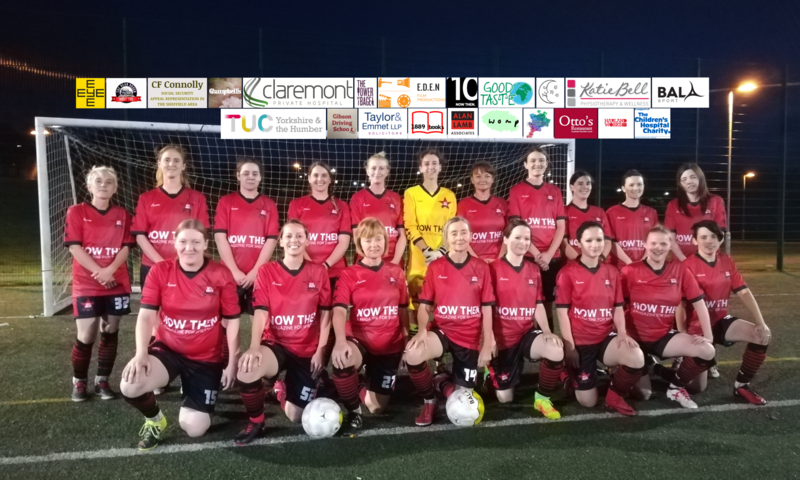 We spoke with Solidarity Soccer attendee, Clare Jones, about her experiences attending the weekly innovative, informal women’s football training engaging women (16+) of any experience and ability in non-competitive football. Solidarity Soccer is a great introduction to our alternative ethos, playing style and approach as a club and runs at the U-Mix Centre, Wednesdays, 7-8pm. Get in touch to get involved! AFC Unity: In a few words, how would you describe Solidarity Soccer to someone who hasn’t been? Clare: Solidarity Soccer sessions provide a chance to have a run around, learn some soccer skills and meet a group of friendly people for an hour on a Wednesday evening. I’ve felt very welcome at the sessions, and really like the ethos of 100% positivity. It’s great that there are different people each time, and that there is a range of skill levels, with first team players coming along to support and encourage those of us who are new to football. The sessions are suitable for people who aspire to play football competitively, as well as for people who, like me, want to come along for a bit of football without a heavy commitment. AFC Unity: Do you have any stories that stand out from your time of being involved in Solidarity Soccer? Clare: It was great going along to an AFC Unity match and seeing the players who help out at the Solidarity Soccer sessions doing it for real. AFC Unity: Has Solidarity Soccer had an impact on your outside football life? Clare: It’s a chance for me to have a bit of fun and exercise without any pressure and I think this is great for my physical and mental wellbeing! AFC Unity: Has Solidarity Soccer helped you with 11-a-side football at all? Clare: The sessions have helped me understand the game a bit better, although I’m not looking to play 11-a-side football at the moment. I play hockey regularly and the Solidarity Soccer sessions help with keeping my fitness up and with thinking about structure and game play that is also relevant to hockey. AFC Unity: If you could pick one word to describe Solidarity Soccer what would it be? AFC Unity: What has been your favourite skill to learn and why? Clare: The skill I seem to have had the most practice at is the Cruyff Turn. I’m nowhere near mastering it but who knows; if I keep coming along to the Solidarity Soccer sessions, maybe one day I will….! 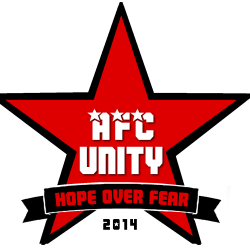 AFC Unity: Anything else to add? Clare: Jane and Jay are very welcoming and run the sessions really well. The club’s involvement in socially progressive community projects is really inspiring and I love that the club was established as a women’s football club from the start.